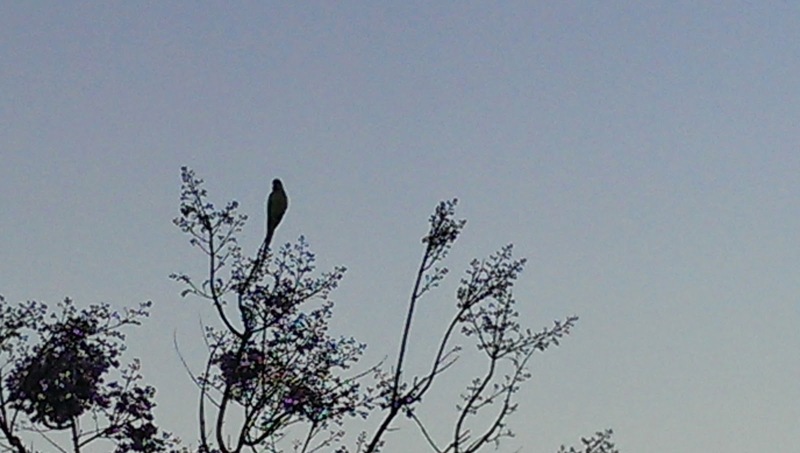 These beautiful green birds fly around my in-laws' place every morning and at sunset, squawking loudly and reminding me that I'm not in my normal environment. I've noticed them every time we come here, but this time I've figured out what they are--namely, Indian Ringneck Parrots. They really are pretty amazing, bright green and with long tails. They congregate in this big tree with equally gorgeous red flowers, cleverly managing to eat the sweet insides of the not-quite-yet-open blooms then dropping the intensely colored petals to the ground. 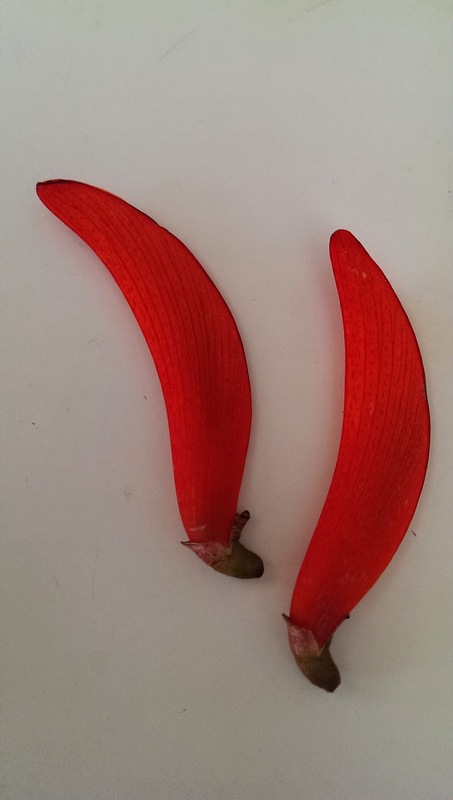 While on a walk this morning, the kiddo and I collected some of the bright red leftovers to take home as souvenirs, and we wondered if these were left behind by the parrots. Thank you once again, internets, for making it so easy to find out so many new and useful answers to our "I wonders" and our "what ifs.